Имате въпрос към Hotel Sebastian? Разположен на централно място в Oslob, Hotel Sebastian е идеално начало за Вашaта екскурзия из Cebu. Центърът на града е на около 118.5 km, а до летището може да се стигне до 75 минути. С удобното си местоположение хотелът предлага лесен достъп до всички градски забележителности, които задължително трябва да се видят. Възползвайте се от богатството на ненадминатите услуги и удобства в Cebu. Подбор на съоръжения от най-висока класа като 24-часов рум-сервиз, безплатен WiFi достъп във всички стаи, 24-часова охрана, ежедневно почистване, магазин за подаръци/сувенири, са на разположение за Вас в хотела. Влизайки в една от 5 уютни стаи, ще забравите за ежедневния стрес с помощта на удобства и съоръжения като телевизор с плосък екран, безплатно разтворимо кафе, безплатен чай, огледало, хавлии в някои от тях. През деня можете да се насладите на отпускащата атмосфера благодарение на открит басейн, басейн (за деца), градина, караоке. Когато търсите удобно и комфортно място за настаняване в Cebu, изберете Hotel Sebastian, който ще се превърне във втория Ви дом. Отзывчивый персонал, комнату заменили без проблем. Бесплатный завтрак. Море на любителя в этом месте. Приезжали посмотреть на акул. Всё хорошо. Stay away from this Hotel! Some of the staff were very pleasant but others wouldn't lift a finger to do anything. Wouldn't clean the room or even replace towels unless you went down and asked. Air conditioner didn't work . lobby was clean but rooms and outside near the pool wasn't. Door in room would not secure and no place to secure valuables. I honestly did not stay here long enough to enjoy the hotel facilities as much as I wanted to but it was beautiful! We were here for a day trip to see the whale sharks and stayed at Hotel Sebastian for the night. I wish we had had more time to enjoy the hotel but for the price, it was a good option for a good nights sleep. Staff was friendly and room was clean. This hotel was a great deal including breakfast. 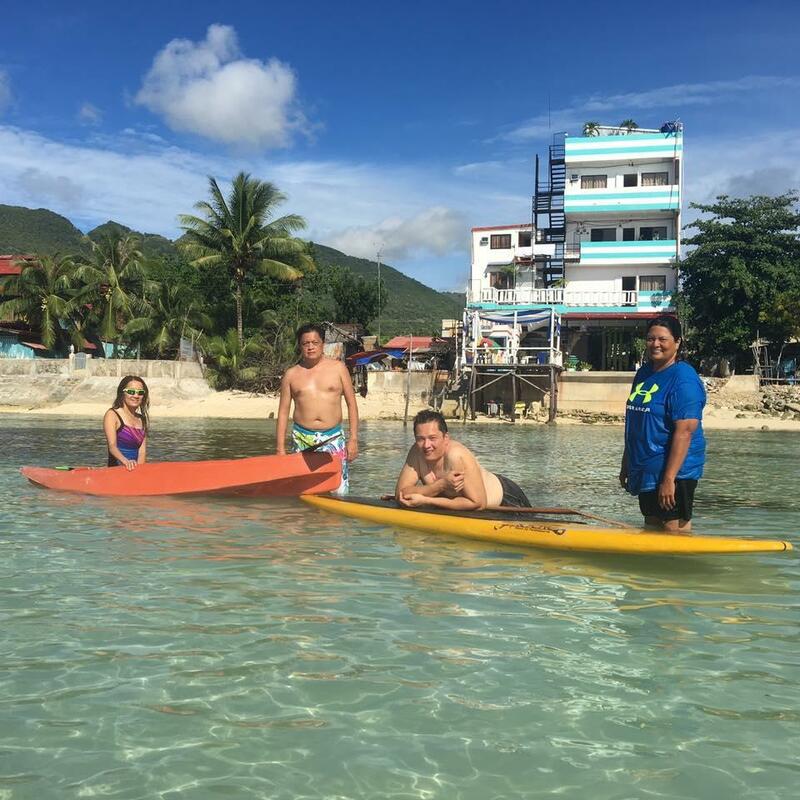 It is right on the water and right in the town of Oslob. The staff are extra friendly and go the extra mile to help. They even took us to the doctor when requested. They can book some tours for you. Some tours were whale sharks, waterfall hiking, Sumilon Island. There is a restaurant in the main floor with really good food (we ate a lot there as I was on rest orders from doctor). 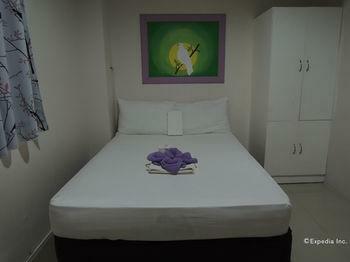 The rooms are clean and spacious including hot water and tv. Internet was good but sometimes spotty in the rooms depending on how close you were to the router. 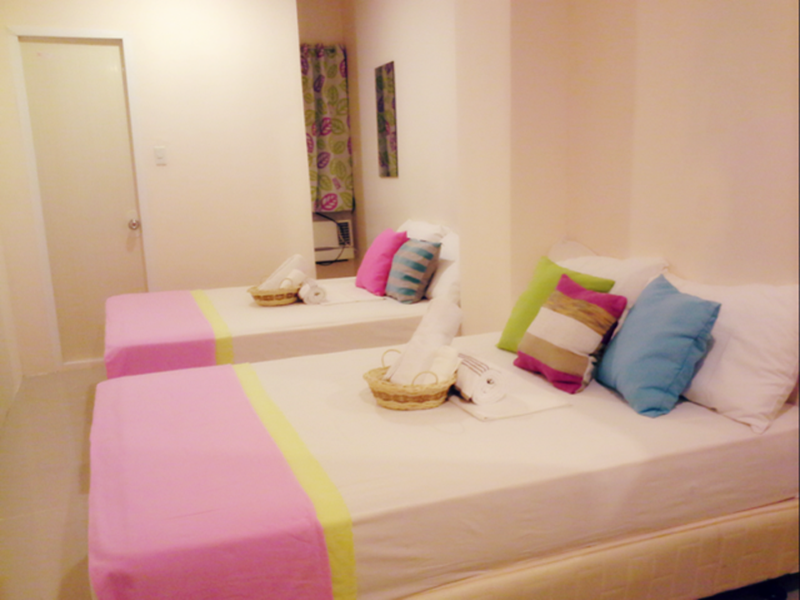 We will suggest this hotel to anyone and would go back if we go to Cebu again. Note that you cannot do early check-in for free. So do your tours of Oslob then come back at 2PM. It was a lovely stay. Great staff especially the lady guard! She's really nice, helpful and always at her smile. Great sleep, nice bed, strong AC, nice pool, free water sports. Wifi in 3rd floor seems not working BUT I have phone data, so not an issue. I will definitely will stay again. Booked the Deluxe Seaview room - the water heater was not working and the water pressure on the shower was very, very low that I just used the faucet to take a shower. Told the receptionist about the water heater but nothing was done. No continuous water. Many mosquitoes Expensive food. Though staff is friendly. no good parking Not worth the money Pictures in the online site is not the same with actual. I do not recommend this hotel. 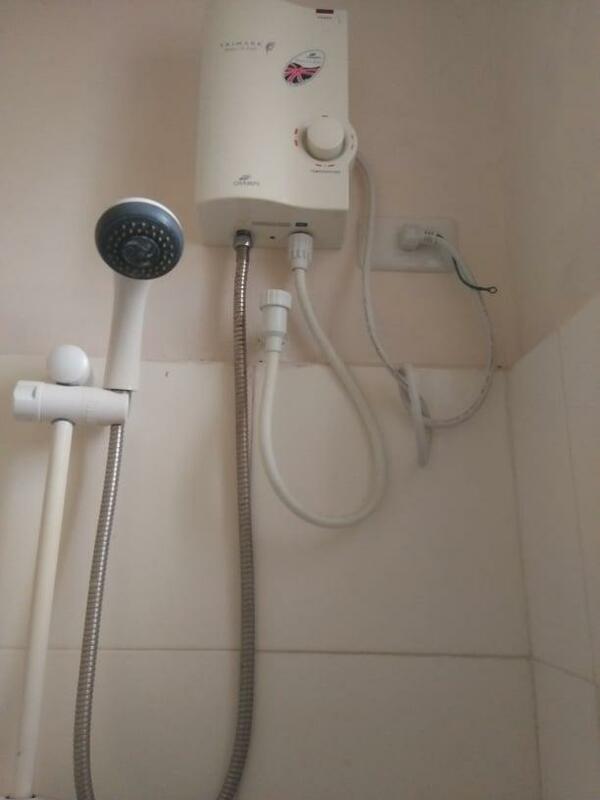 There is no free mineral water, waiter boiler, hot water for shower (not even a normal water shower, the water coming out is small. ), hair dryer, blanket( you have to ask from the staff. ), and shampoo. I was satisfied because they provided polite service and also breakfast. But they charged for the mineral water for 25peso per bottle. The location is good due to nice sea view through the room, many store and 7-eleven in the walking distance. Overall not bad, they should provide free water and waiter boiler. It was weird where they provide cups, free tea bag and coffee on the table, but they charged for the water. I was satisfied because it was cheap, a good budget hotel. We felt it was overpriced for what it was. 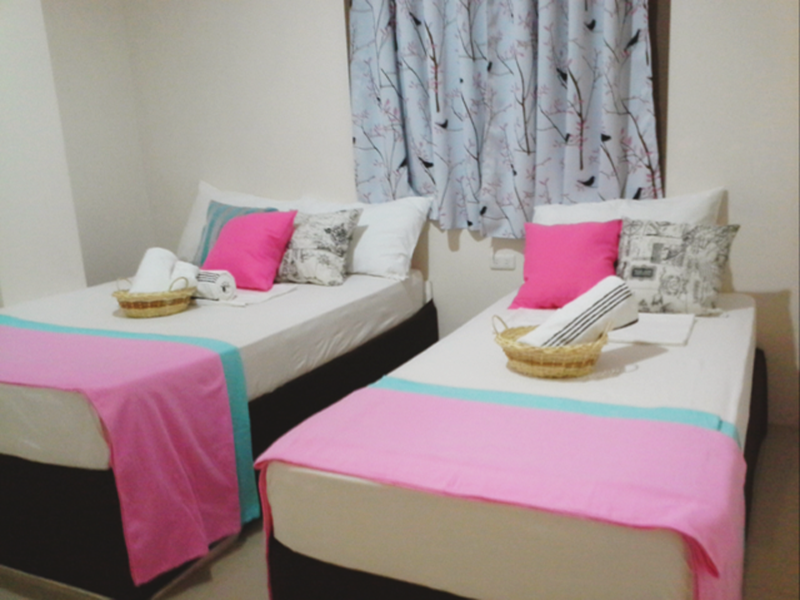 Good points: Great location next to main road with restaurants and short ride to whale sharks and waterfall, we didn’t experience any problems with lack of water as some other reviews have mentioned, friendly staff who all say hello, family room is a good size. Bad points: bathroom has cracked tiles, toilet in bar/restaraunt area very wet floors and smelly with no soap, outdoor decking area as pictured is closed due to looking unsafe, the security guard is the hardest worker there always cleaning and wants to help you most of the others didn’t seem keen to help. They were friendly but seemed more interested in watching TV, breakfast was very basic same as the bad coffee., very tired building needs a big renovation which they claim is happening but we didn’t see any. We stayed for a week, if we were staying for a night or two we would be more likely to be able to look past a lot of the bad points just seemed overpriced even with discount. The place is amazing, however you can tell that they don’t have a strong management core. The employees could not care less about your customer experIence. When I ordered something, it took forever, and no one was there check in for the inconvenience. There was a randomn guy who walked to the back of the resort with a dirty dog, washed it up a little bit, then abusively carried it back out of the establishment. The staff laughed while I was irate. None of the food tased good. Overall the view from the room was jaw dropping. And for the money, You’re underpaying for that view. However, customer experience was probably the best I’ve had since i’ve been in the Philippines. Easy fix. Better managed and teach staff professionalism. I do not right reviews. I travel to frequently to take my time aside ro write one. However my experience was so bad, Jumped when giving the opporTunity to write one for this establishment. So take this review SERIOUSLY! Location of the hotel is beach front with sea facing pool which gives a feel of infinity pool. Staff is ok ok... rooms were messy and don’t wanna stay in the room for more than 1night.. overall nice if just friends going there but not a place where I would keep my family..
Lovely hotel with great view. The service in the restaurant was extremely slow and not much was available from the menu but it was good for a drink or two at sunset! Location is great as only 5 mins walk to Main Street with major bus route. Clean when we got there and they clean everyday. Hot shower, aircon and free breakfast makes this super good value! Great spot, with a small pool, on the seashore. BUT, hardly any customers...... Pretty obvious why - multiple staff who don't care about the clients : dirty, incompetent restaurant, most of menu not available. Awful. This could be a real gem if the management organised it. As it is, fairly bad. The best member of staff is the security guard. NB What a pity.